Home / News, Politics / Water is our oil and we demand payment like Turkana brothers – RAILA ODINGA's prophesy come to pass! Ungrateful KIKUYUs!!! Water is our oil and we demand payment like Turkana brothers – RAILA ODINGA's prophesy come to pass! Ungrateful KIKUYUs!!! 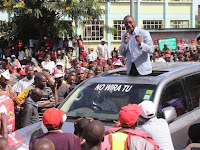 Thursday September 13, 2018 - Muranga Governor, Mwangi wa Iria, has vowed to stop the construction of the Sh 6.8 billion Northern Collector Tunnel if the County doesn’t receive 25 percent revenue from selling water to Nairobi and Kiambu residents. Muranga County supplies 84 percent of water consumed in Nairobi and according to Wa Iria, the Nairobi County Government will be forced to pay Muranga residents if it wants the water from Muranga. 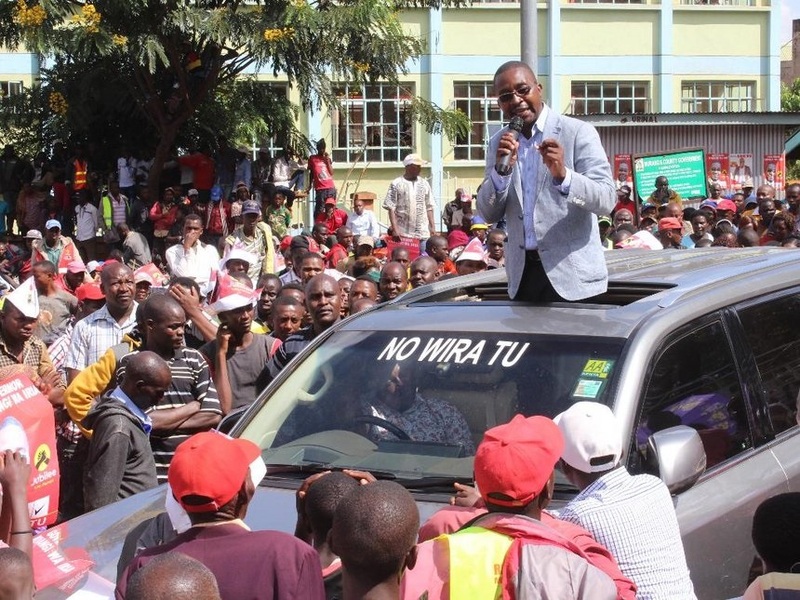 “We are not an exception, we can’t be giving water to other Counties for free when they sell the same commodity to residents,” Wa Iria told Kenol town residents on Wednesday. He said Nairobi had over 1,000 swimming pools constructed by water from Ndakaini while Murang’a people had serious challenges of water shortage and paid water at exaggerated prices. “If they don’t part with 25 per cent of the revenue they collect, I shall lead the people of Murang’a in blocking the water that goes to those Counties,” the Governor vowed. He said that revenue from the Counties that benefit from Murang’a water will play a pivotal role in supplying the County constituents with water.